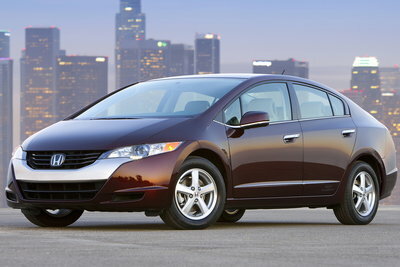 The FCX Clarity showcases Honda's progress with fuel cell technology. The FCX Clarity differs from prior fuel cell cars in that it is ready for the roads today. Honda has carefully chosen a few hundred customers in the U.S. and Japan to lease the FCX Clarity for more real world testing and publicity. The FCX Clarity highlights Honda's progress with Hydrogen powered fuel cell vehicles. The second generation FCX has grown in size from a small hatchback to a large stylish sedan suitable for family use. Improvements to the fuel cell technology have increased the operating efficiency of the model.